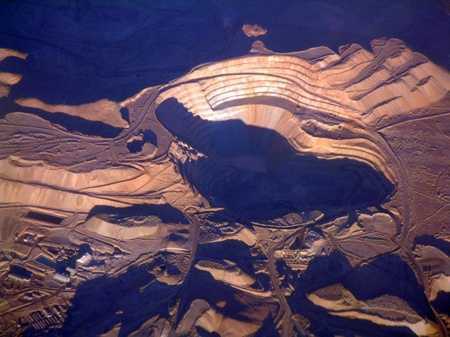 Chuquicamata is an open pit copper mine in Chile. It is the mine with the largest total production of copper in the world – though it is not the largest copper mine. The mine is over 850 meters deep. 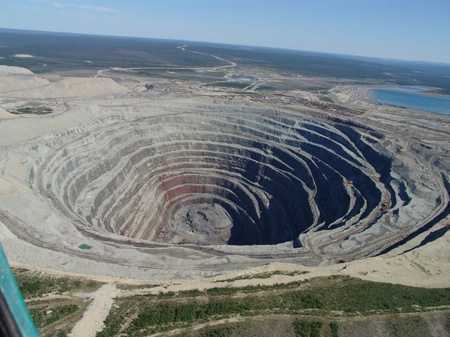 The Udachnaya Pipe is a diamond mine in Russia. The owners of the mine plan to cease its operations in 2010 – in favor of underground mining. The mine was discovered in 1955 and is over 600 meters deep. 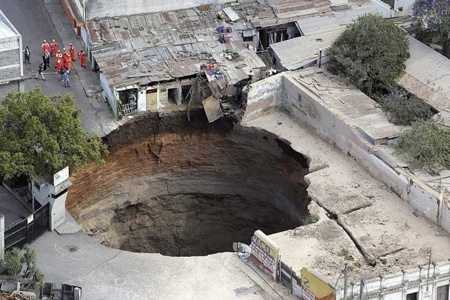 In 2007, a 300 foot deep sinkhole swallowed a dozen homes in Guatemala – killing 2 and causing thousands to be evacuated. The sinkhole was caused by rains and an underground sewage flow. The Diavik Mine is a mine in the Northwest territories of Canada. 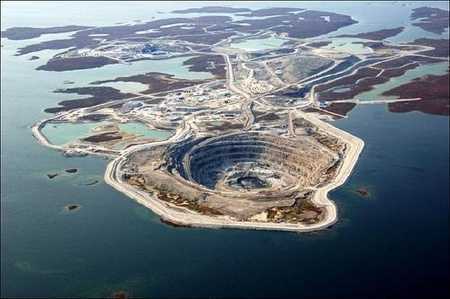 The mine (opened in 2003) produces 8 million carats or about 1,600 kg (3,500 lb) of diamonds every year. 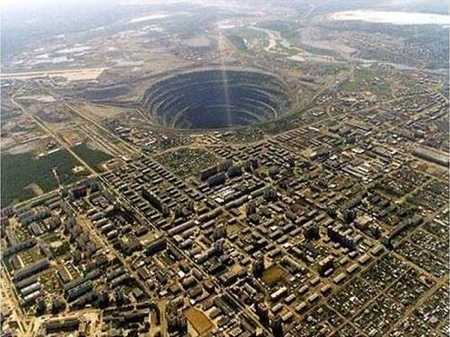 The Mirny Diamond Mine is 525m deep and has a diameter of 1200m. It was the first, and one of the largest, diamond Pipes in the USSR. It is now abandoned. While it was still operational, it would take two hours for trucks to drive from the top to the bottom of the mine. 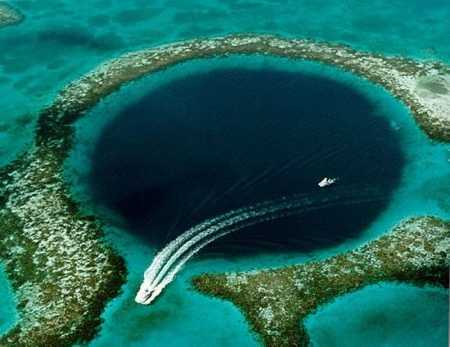 The Great Blue Hole is an underwater sinkhole off the coast of Belize. 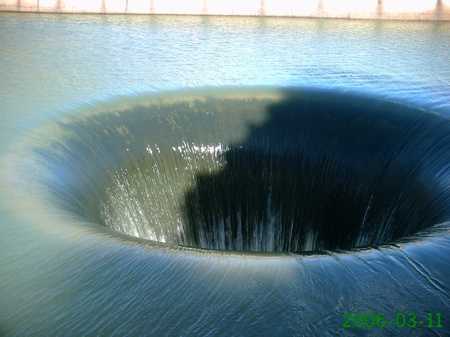 The hole is 1,000 feet across and 400 feet deep. It was formed as a limestone cave during the last iceage. 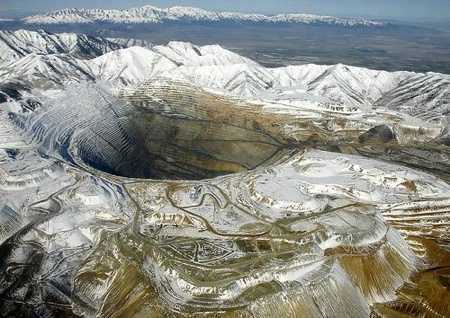 The Bingham Canyon Mine is a copper mine in the Oquirrh mountains, Utah. The mine is 0.75 mile (1.2 km) deep, 2.5 miles (4 km) wide. It is the world’s largest manmade excavation. The Monticello Dam is a dam in Napa County, California, United States most noted for its large circular spillway with a rate of 48,400 cubic feet per second. 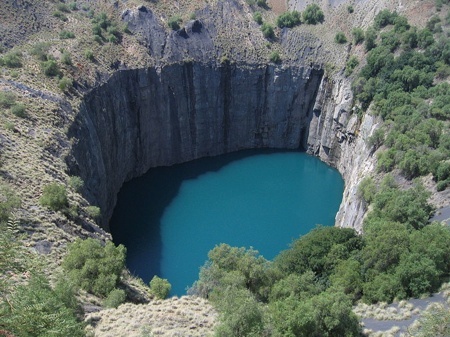 The Kimberley Diamond Mine (also known as the Big Hole) holds the (disputed) title of being the largest hand-dug hole in the world. From 1866 to 1914 50,000 miners dug the hole with picks and shovels, yielding 2,722 kg of diamonds. Attempts are being made to have it registered as a world heritage site. In 1971, geologists discovered a massive underground deposit of natural gas on this site. Whilst excavating the hole to tap the gas, the drilling rig collapsed leaving a massive hole. 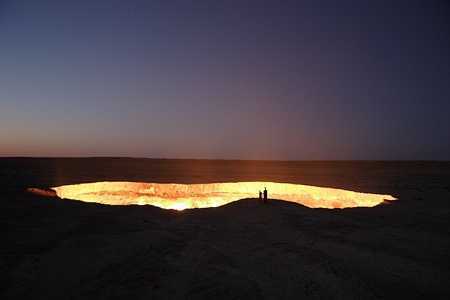 To prevent poisonous gasses from escaping, the hole was allowed to burn. It continues to burn to this day and has done so without ceasing. up the superb works guys I’ve incorporated you guys to my own blogroll. Only one of those photos are natural. The rest is man made or been caused to happen by man. good as knowledge found in this globe. I knew about some of these but others are new to me. Thanks for putting this together!